Kevin Harvick, driver of the No. 4 Jimmy John’s Ford Fusion for Stewart-Haas Racing (SHR), is heading to Martinsville (Va.) Speedway for the Monster Energy NASCAR Cup Series Martinsville 500 looking to start a fresh winning streak at a notoriously challenging venue. Harvick has won three of the first five NASCAR Cup Series events of 2018, scoring consecutive wins at Atlanta Motor Speedway, Las Vegas Motor Speedway and ISM Raceway near Phoenix. His streak ended Sunday with a 35th-place result at Auto Club Speedway in Fontana, California. Now, the 42-year-old driver is looking to regain his form and start a new streak with a trip to victory lane this weekend at Martinsville. The .526-mile paperclip-shaped racetrack is the shortest NASCAR Cup Series circuit while its low banking and tight corners provide some of the closest and toughest competition of the year. Due to its tight quarters, a racecar rarely finishes a race at Martinsville without a tire mark on the door or a few dents in the sheet metal. The Bakersfield, California, native scored his first top-five at Martinsville since joining SHR in his most recent visit to the venue in October 2017, but it didn’t come easily. The No. 4 Ford was collected in a last-lap accident and crossed the finish line backwards with the tires smoking. The racecar finally made contact with the outside SAFER Barrier and suffered so much damage that the crew could not load it into the team hauler. One of the most important things to watch for this weekend at Martinsville will be stage points and stage wins, which can be scored early in the race. Harvick has scored 53 stage points through the first five races in 2018, which accounts for more than 31 percent of his total of 170 points in the driver standings. Martin Truex Jr. of Furniture Row Racing claimed the points lead following his win last week at Fontana, while Harvick dropped from first to eighth place in the standings with his 35th-place finish Sunday. 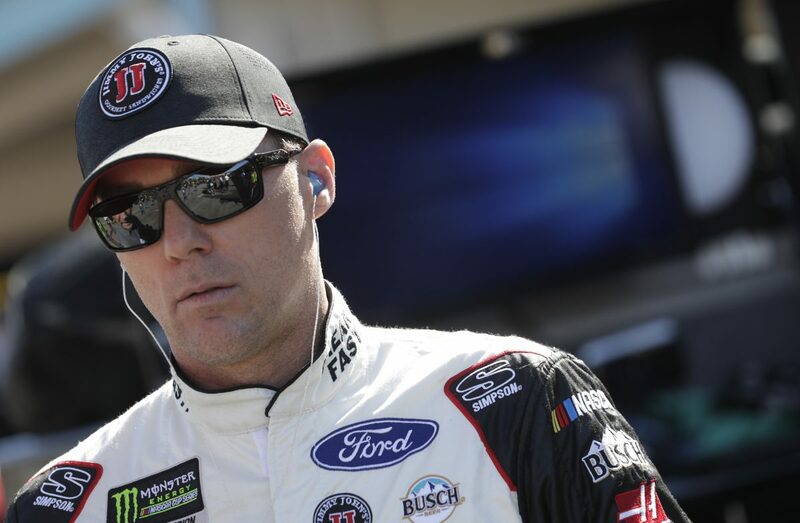 While Harvick leads the Cup Series with three wins and 11 playoff points through the first five races, he still would love nothing more than to start another winning streak this weekend in Martinsville. When you think of Martinsville, what comes to mind?